My experience with INTERSOFT was really great..unforgettable.It has shaped my career and even my life in many ways. It has brought out untapped potential in me. Intersoft is a realy provide greate services. 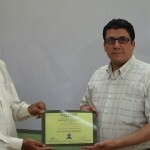 I have completed laptop repair training from Intersoft. Intersoft Launches Trust Port in India, Sets up 24/7 Support Centre. © 2019 Intersoft. All Rights Reserved. Theme By: Westerndeal.